so no cross pollination? 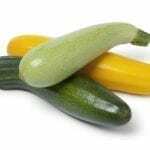 or plant zucchini later in summer! This will only affect you if you plant seeds from your last harvest. If you plant new seeds from a seed company each time, then you will have no worry with this. Once these plants cross (which they do easily) you won't notice anything until the next generation of seeds from those fruits have been planted. Either of a few things is going on here: If intend to plant seeds from your previous harvest, then you will not want to plant these at the same time. If you plant new seeds from a package each season, then I would look to some mislabeled seeds, or some bad breeding practice on the part of the producer of the seeds. Can you include a little more detail about your process, and where you source your seeds?